The offense scraped together enough runs to back a strong outing from Jose Quintana. Ian Happ had a big day at the plate. Joe West did Joe West things. When Quintana has struggled in his short Cubs career, he hasn’t had a feel for his curveball. In the early innings, though, his curve looked sharp, and it made the Blue Jays look silly. He could steal strikes with it early in the count, and put hitters away with it late. Quintana also commanded his fastball as well as he has in a Cubs uniform, keeping it on the black or down at the knees. Ultimately, Quintana had a fine outing. He ended the day with eight strikeouts and two walks (one intentional) in six innings pitched. A few more starts like this, and maybe that guy at the bar will shut up about Quintana being a bust. Meanwhile, the offense created several opportunities to score but squandered many of them. They loaded the bases in the first inning with one out but only got the one run. With two runners on in the second, Jose Quintana popped up a bunt attempt for a double play. It wasn’t all the Cubs’ fault though. 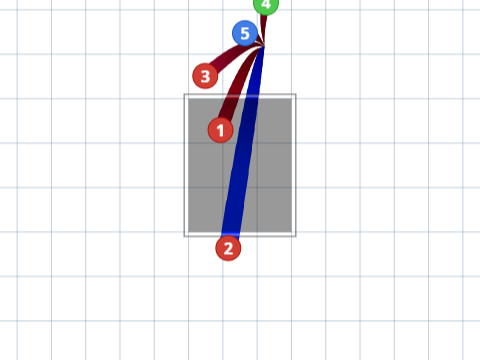 With runners at second and third and two outs, Jon Jay took what should have been balls four and five, but Joe West called them both strikes. If Jay had walked, it wasn’t guaranteed the Cubs would have scored, but it was a big moment in the game at that point, and Jay had the bat taken out of his hands. Ian Happ carried the offense in the early part of the game. Happ bounced back from taking the Silver Sombrero yesterday. He knocked in a run in the first inning, and he demonstrated some ridiculous opposite field power in the fourth. He took a sinker on the outer edge of the plate and put it about twenty rows up in left-center. The Cubs finally snuck some big hits through. Javier Baez singled home the go-ahead run with a grounder up the middle. Later, Anthony Rizzo blooped home an insurance run that wound up being the difference in the game.